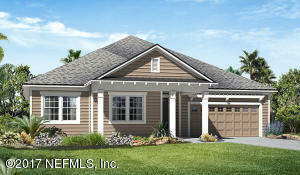 This Dalton plan features a ranch style home with upstairs bonus room. At the back of the home, you'll find a great room, large kitchen with beautiful island & breakfast nook. The extended covered patio on this preserve lot is very private. Upstairs there is a spacious bonus room with full bath & walk-in closet. The master has a beautiful tray ceiling & deluxe master bath. Enjoy abundant storage space with this 3rd car side turn garage. You can still personalize this home with your own colors and finishes! 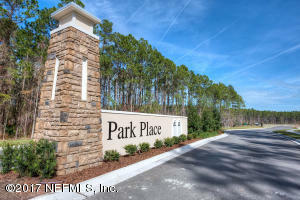 Park Place is located 2 miles from I-95 in a small quaint community, ''A'' Rated schools, All lots back up to preserve or lake. Ask us about energy efficiency and our warranty program! This home has been on the market since Oct 30,2017. Courtesy of PABLO CREEK REAL ESTATE LLC.